V.I.Lenin said: "Electrification + Soviet power = Happy for all [Communism]!" It is OK! 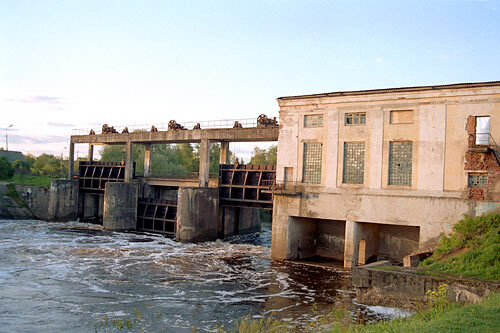 There is the desolated small electricity generating plant of 1920-30-th on the Shelonj river in 1 km from the fortress. It is forsaken, but there are the new metal doors so I have some hope for future restoration of this monument of Soviet epoch.